So you want to become a software tester, …a.k.a QA Analyst …a.k.a QA Engineer? I began a software testing career immediately after college and it has been my profession for 12 years running. I didn’t get a computer science degree, which is the common educational precursor to a career in the software development world. I did, however, graduate after four years at university with a degree that emphasized computer networking. My degree wouldn’t have secured a role as a software developer, but it was enough to land my first QA job. (Some part-time work experience helped as well but I will talk more about that later.) After landing my first job testing mobile apps on Blackberry devices, my QA career took off. I found that I really enjoyed testing software. The challenge of finding bugs and figuring out steps to replicate them turned out to be something I was pretty good at, so I stuck with it. I’ve enjoyed a career that has led me to test many types of software products from online banking and legal industry websites to music apps and everything in between. I enjoy the challenges of the ever changing software development world. You may be reading this because you came across a job posting for an entry-level QA position and you would like to know if you are qualified. Perhaps you have been applying to QA positions but haven’t had much luck. Landing the first job is always the most difficult in any industry because hiring managers love experience but don’t give up. Even if you don’t have the qualifications listed in a typical QA job description, you can still get your foot in the door at a software development shop and I’m going to tell you how. Below are five ways to improve your resume and make yourself more attractive to prospective hiring managers. You may be surprised to learn you already have some background experience you can lean on. If you don’t have a technical background, but would like to gain professional experience that moves you towards a QA or software development career, tech support is a great place to start. While working towards my bachelor’s degree, I worked in tech support for an Internet Service Provider. My role was to answer calls from customers setting up DSL modems and help them to successfully get online. While dealing with irate customers and teaching a lot of them how to use a mouse was not always the most fun, it did give me the opportunity to learn a lot. For example, there were several versions of Windows that I needed to learn to navigate well enough to provide steps for complex tasks. I learned the ins and outs of several browsers and how to adjust network settings that might be preventing users from getting connected to the service. Experience like my tech support job can be valuable preparation for an entry level QA position. While working in a tech support role, you learn how to use the tools required to write tickets and document support calls. Successes in these areas demonstrate an ability to learn to use software tools in a corporate environment. This can translate to a QA hiring manager feeling confident in your ability learning to use bug tracking tools and test case management tools required for the QA position. QA and support should be working together and I have seen many companies pull the best tech support agents into an entry-level QA position within the same company. A good tech support agent doesn’t always translate into a good tester, but the professional experience certainly gives you an advantage over those without any professional, technical experience. Another option for gaining some professional experience prior to a full-time QA position is to start with some small freelance QA tasks. There are many small organizations who advertise short duration software testing tasks that could give you an opportunity to put some experience on your resume. These entry-level jobs (or testing assignments) may be as simple as testing an app on an Android device for one hour. Others may require you to test a website on multiple browsers. These gigs rarely pay much, but the real value comes from the experience. You will learn to think like a tester, write test cases and report the results. This is a great way to find out if software testing is something you are interested in. If it is, then some experience like this listed on your resume and described in an interview will show that you have a real desire to test software and that you have some experience along with it. Gaining that first bit of experience, no matter how limited, makes you a more desirable candidate. Most entry-level QA positions will not require a great deal of coding knowledge (although, as the QA industry moves increasingly towards automation, this could change quite rapidly). Even if the job description doesn’t list any coding skills as requirements, having some experience/knowledge of coding is always desirable. It shows to the hiring manager that you may have an elemental understanding of software development. Adding some fundamental knowledge will cost you nothing more than your time. There are numerous websites that offer free tutorials and online courses where you can learn the basics. For example, a basic understanding of SQL is becoming a requirement for more and more QA postings. Take a look at some of the positions you are interested in applying for, even senior positions, and spend some time looking at the tools or languages they list as requirements. Then, try out some free online courses or tutorials to gain some knowledge. At the very least, this will give you an opportunity to explain what you know in an interview. If you have created some simple apps or websites, you can explain the process you have used in testing your own work. If you have the time and resources to become certified in software testing or development disciplines, you could add a lot of value to your resume/CV. There are certifications that apply directly to Software Quality Assurance. Other areas to get certified in are software development processes (more in the next section on these processes). In my experience, certifications have not been necessary because I have been fortunate enough to gain on the job experiences so far. But, as I continue to look at the skills required for senior QA positions, I find that certifications may become something I need to pursue, but for someone beginning a career in QA, that may not be the case. My advice is to weigh the cost vs the benefits of obtaining certifications prior to landing a job. Most knowledge needed may be obtained through free tutorials and courses, but sometimes landing the first interview necessitates a certification. I have found that most QA job descriptions require some knowledge of the Software Development Life Cycle (SDLC). While a prospective employer won’t expect you to be an expert on the SDLC for your first QA position, they would certainly value any knowledge you have on the subject. A basic understanding of software development processes could also be listed as a requirement or a “nice to have” skill. The Agile methodology is the most popular process being used today and experience working in an agile software development environment is highly sought after. If you have not worked in this environment (which you likely haven’t if you are seeking your first QA position), then it would be beneficial to learn about the methodology and what it means for QA and software testing. A good start would be to understand the difference between the agile software development model and the waterfall model. Adopting Agile Methodology – Tips For Success has brief descriptions of both, and Agile Testing takes you through to a number of articles about the process. Trying to land your first job can be pretty overwhelming. At times it feels like you can’t get hired without experience, but you can’t gain experience without getting hired. It’s often the dilemma with any industry. What you can do is make yourself and your resume/CV more attractive. 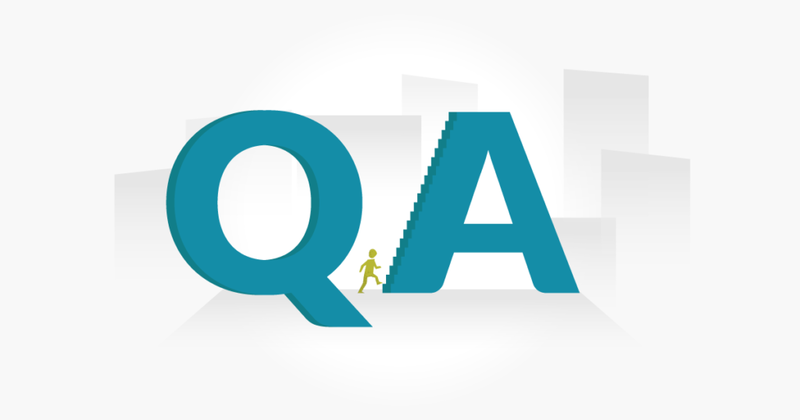 Follow my advice above, add in some patience, and you will find yourself gaining valuable experience in your first official entry-level QA role.